Description: Your feet will love you for these comfy cushioned sandals. 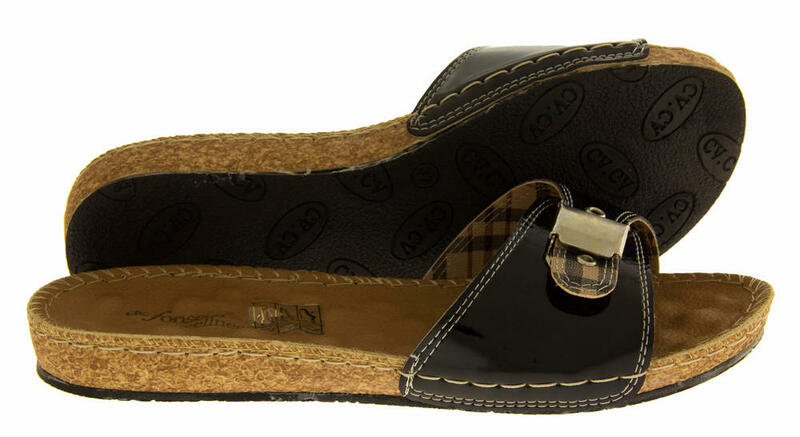 They have raised circular cushioned spots for extra comfort, and an adjustable buckle fastening strap over with Burberry design detailing. Why settle for ordinary when you can buy these lovely De Fonseca Wellness sandals! Enjoy every step you take!